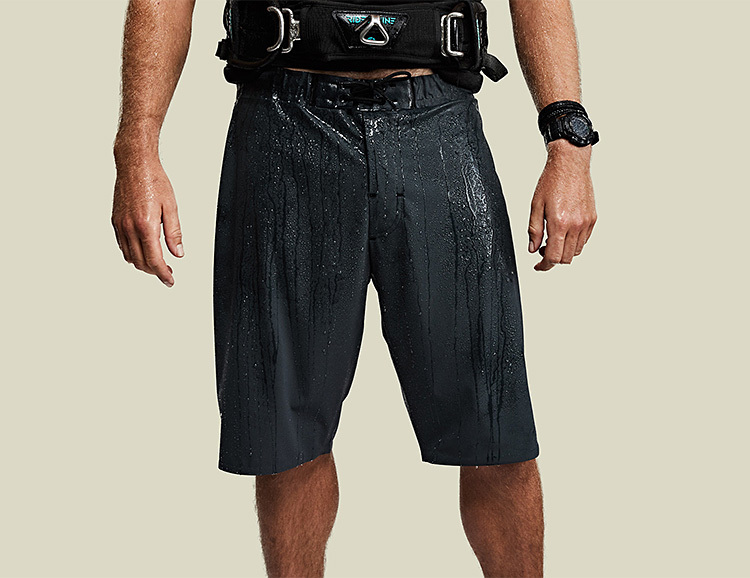 With every detail cut by lasers, bartacks welded on for strength, and all seams and stitching replaced with bonding, Vollebak’s Ocean Shorts are sure to be the most technically advanced shorts you’ll find for surfing, kitesurfing, paddleboarding, kayaking, swimming, sailing & wakeboarding. The fabric is stretchy, blocks UV rays and repels water with plant-based technology. L.A.-based apparel brand American Giant makes all their clothing in California. Their Roughneck Pant is built tough like a work pant but cut like a jean, featuring sturdy cotton canvas construction with 2% stretch and finished with heavy stitching and custom metal hardware. Available in Black, Basalt gray or Falcon brown. 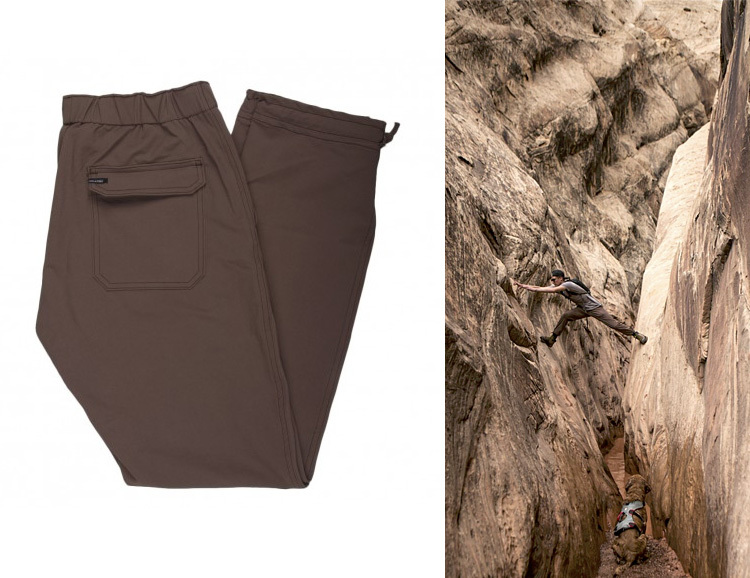 Made of durable, water-resistant nylon ripstop, the packable Trailhead Adventure Pant from Coalatree is Kickstarter’s highest funded technical pant ever. 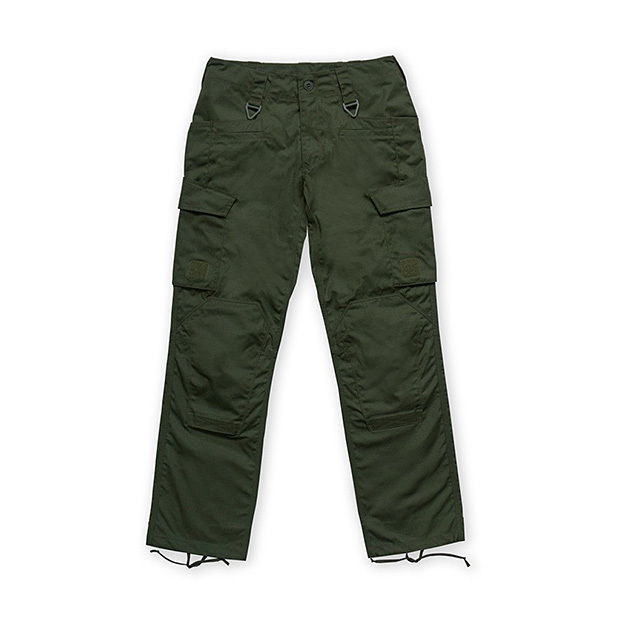 It features the comfort of 4-way stretch and anti-microbial treatment, making them great for adventure action. The fit and styling makes them versatile enough for after-hike activities, too. Colorado-based Topo Designs continues to build out their apparel offerings. The latest: work pants constructed with American-made 12-ounce duck canvas and double paneling on the front for long wearing durability. Triple stitched seams, too. 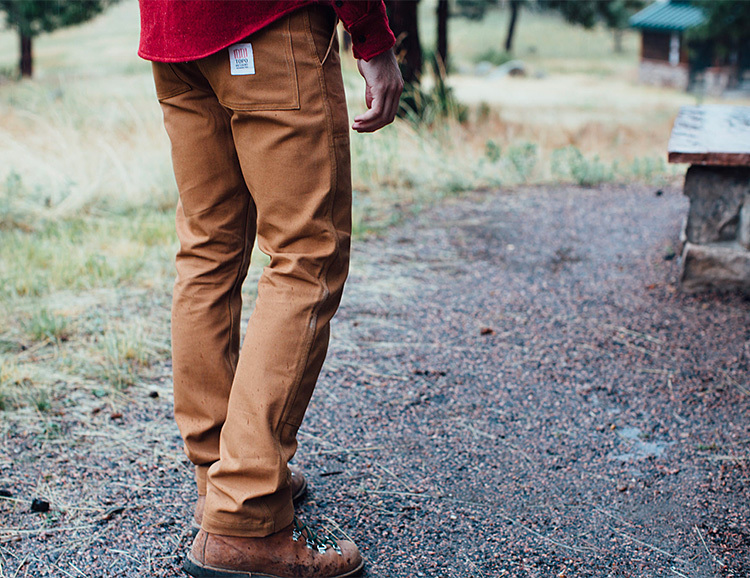 And unlike those dad-fit Carhartt’s, these hardworking trousers are slim and streamlined. 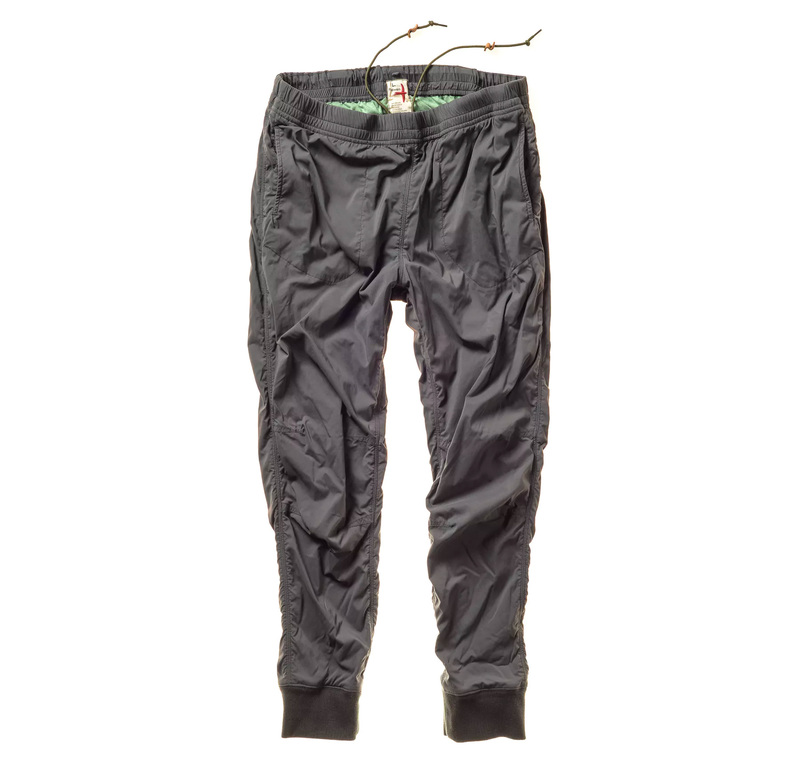 Made of DryFit ripstop nylon with 4-way stretch, the Trailhead Adventure Pant moves freely from the city streets to the mountain trails. They’re waterproof, stain proof, breathable, packable, & durable. 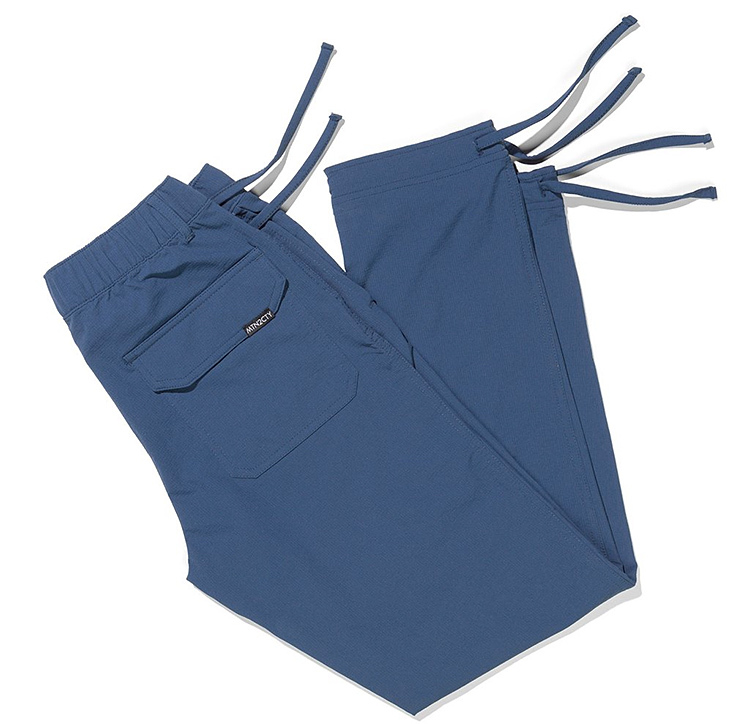 They feature a comfy elastic drawstring waist as well as drawstring ankles, for versatility. A funded Kickstarter. 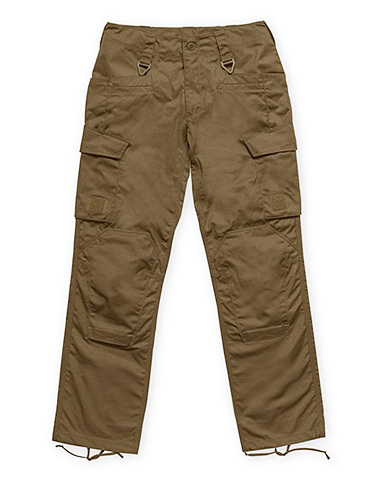 Made of Mil-Spec Ripstop in a 50/50 nylon and cotton blend, the American-made Odyssey cargo pant from Prometheus Design Werx feature a battle-proven military design with EDC, tool, & utility pockets, a diamond double-reinforced seat, and double & triple needle construction. Massachusetts-based upstart 1620 Workwear has built a completely U.S.-based supply chain to create their premium products. Their double-knee work pant features full Mil-Spec construction using Tweave Durastretch, a stain, chemical & water-resistant technical fabric. 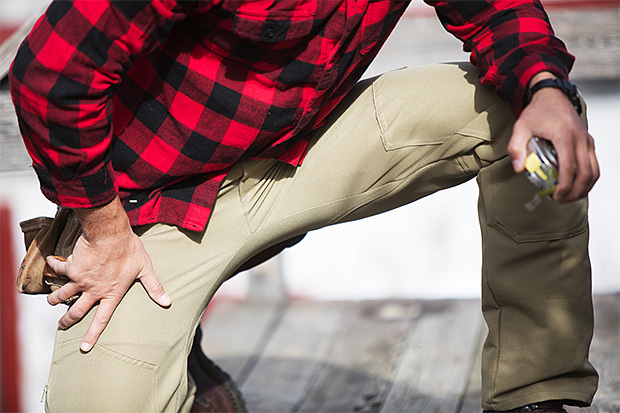 With an ergonomic modern fit, articulated knees, reinforced ankles, and strategically-placed pockets for everything from your keys to your phone to tools, these pants are made to work harder and smarter.